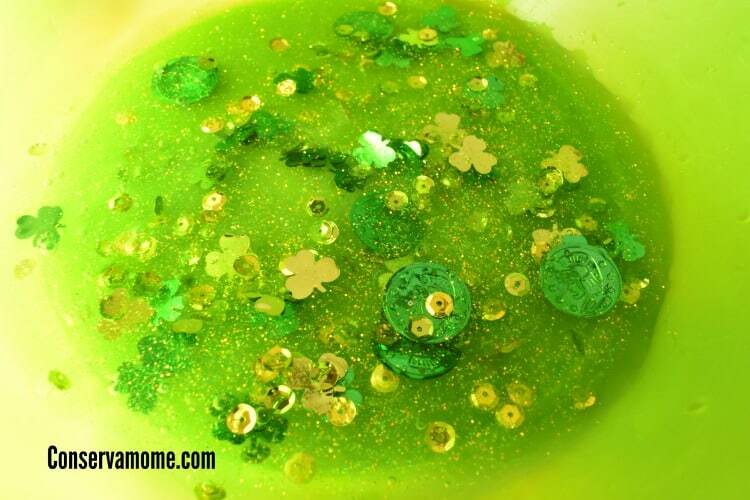 This gorgeous Pot of Gold St.Patrick’s Day Slime recipe will be a huge favorite with all your slime lovers at home! My kids are SLIME CRAZY! They love making different slime recipes. We’ve probably spent hundreds of dollars on various slime recipes. Something I’m pretty sure most parents have done with the slime crazy. Although the kids are the big slime fans, I’m not going to lie, I love making it with them. We love coming up with various colors and textures. Even though we’ve tried a lot of different recipes from non borax to borax, I can honestly say I think our favorite involves using borax. It seems the texture is always spot on. 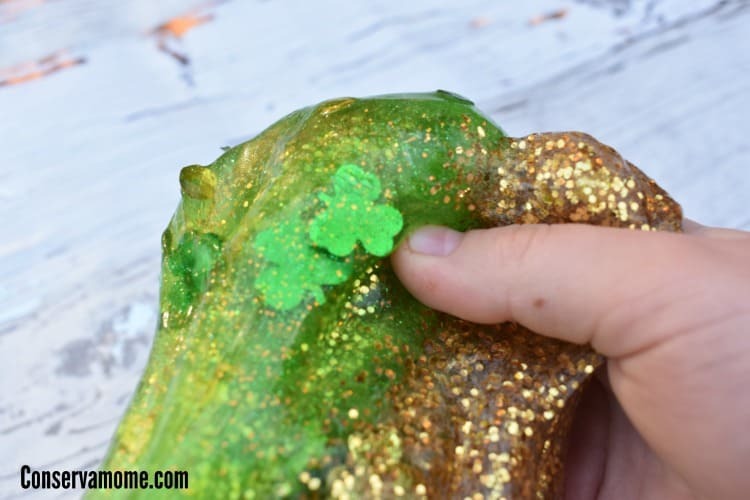 A favorite recipe we’ve come up with and done a couple of times already (because when you have 6 kids everyone wants a piece of the pie) is this Pot of Gold St.Patrick’s day slime. 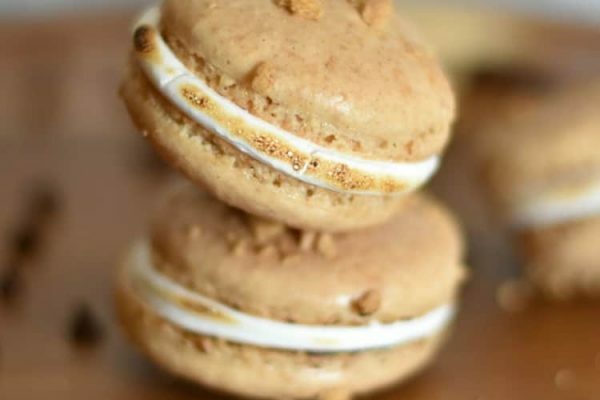 This recipe combines two gorgeous colors that could stand alone beautiful by themselves but mixed because such a gorgeous creation! Out of all the holiday themed slimes we’ve made I think this one is my favorite. Through and through it sounds more complicated than it is because you’re in essence making two slimes, but in the end the product is gorgeous. 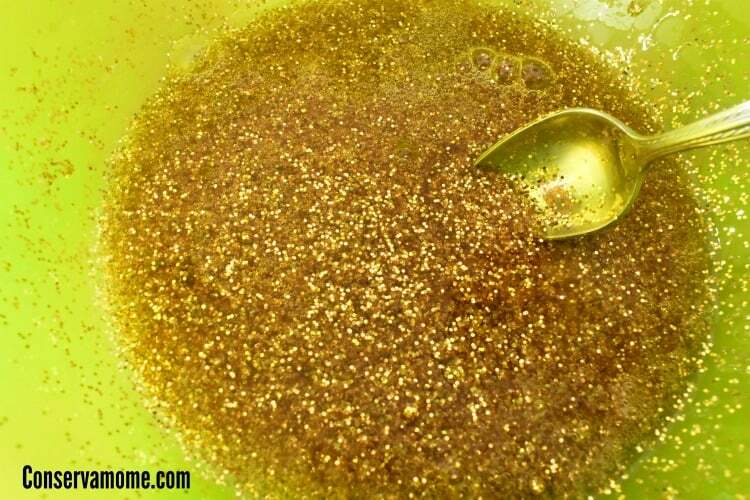 Begin by mixing about 1 cup of the clear glue with about 1/4 cup of glitter. Eyeball it. Slowly add one of the tspns of water. Mix thoroughly. Dissolve the tspn of borax in the cup of water and add about half of the cup to the mixture stirring until it becomes the right consistence. Set the gold slime to one side. Then do the same with the green glitter glue add the confetti to it and the water and stir. Add the rest of the borax water to it and stir until it becomes the consistency of the slime. You’ll have two separate slimes. You can then begin combining them into a fun combo. Until eventually they become a gorgeous mixture of color! 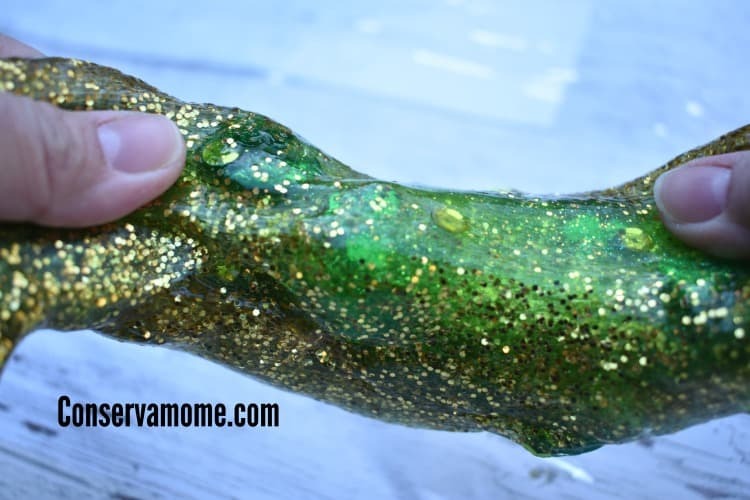 The best part about this slime is that when you stretch it out it shows the beautiful green undertones yet when it comes together it has the gold shimmer to it. 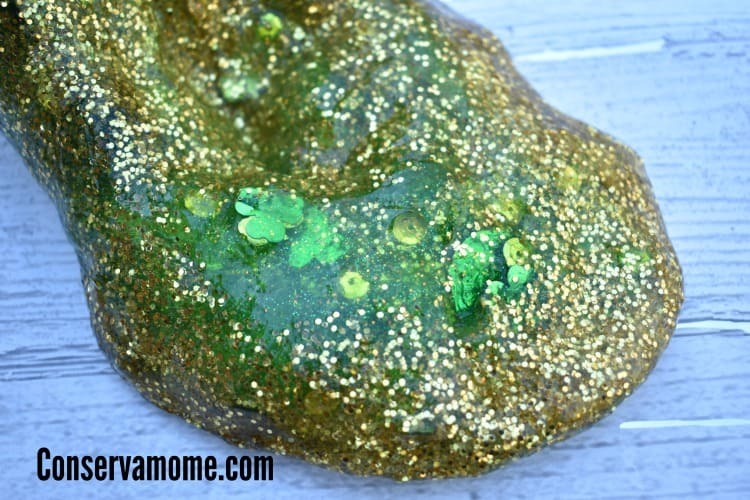 This really is a gorgeous slime that’s the perfect addition to your St.Patrick’s Day celebration. 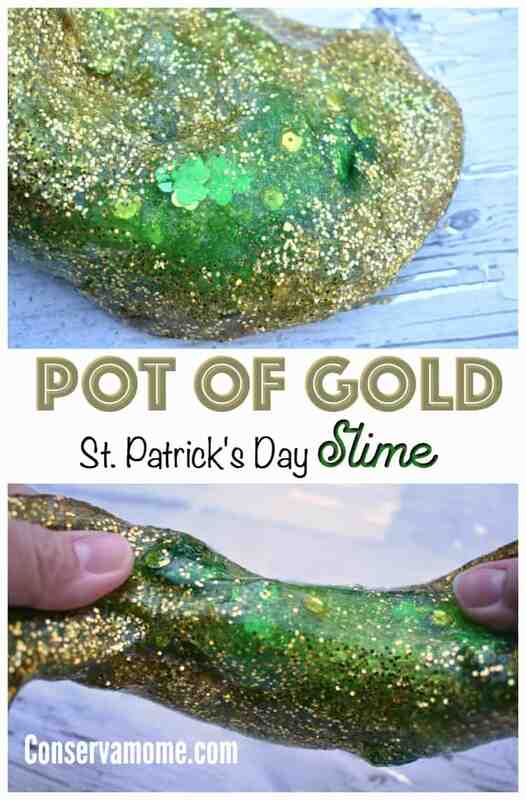 Looking for other great St.Patrick’s day crafts? 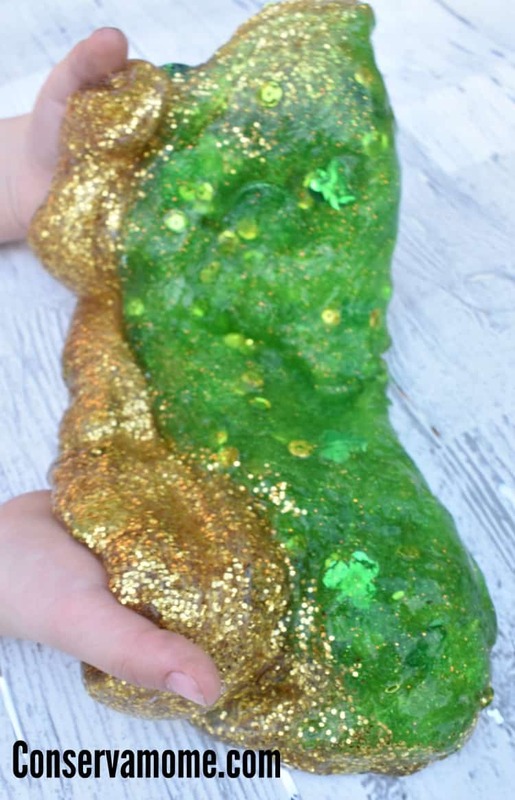 Check out these 17 St. Patrick’s Day Kids Crafts. Enjoy! My niece loves all things sparkly and gooey! She would love this! 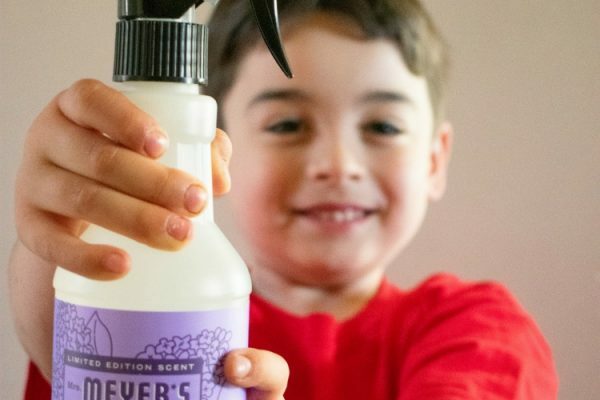 Not a big fan of slime, but this is a cute idea. I am sure my daughter would love it! 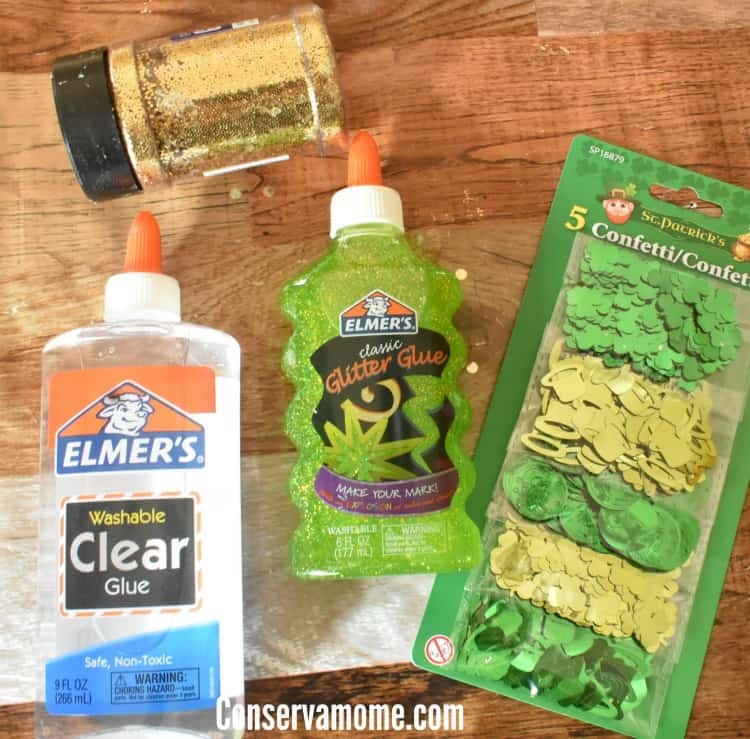 Let’s see…slime, glitter, and sparkles. 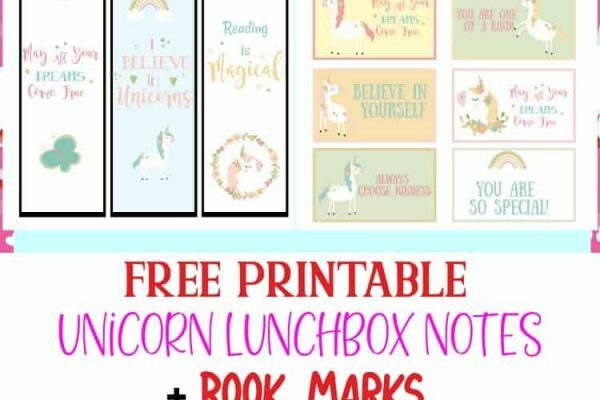 That sounds exactly like something my kids would love to make! 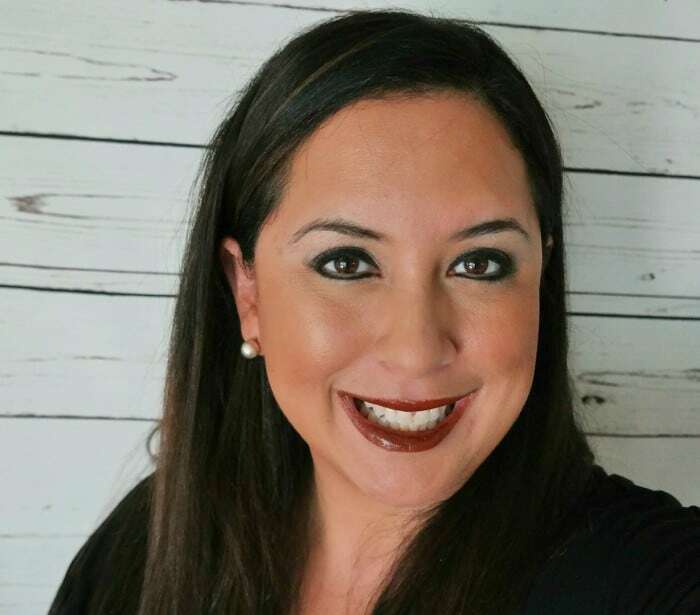 Thanks for sharing such a fun project!